ZTE Axon 7 aims to be along the high-end smartphones and manages to achieve it, par a few compromises. It is not a perfect device in the market. However, if you have been holding out for a bit cheaper version of the high-end smartphones, then you should definitely look into this one. Despite not being priced at a huge price point, the design is nearly perfect and the phone feels incredible in hands. To top it all off, it has dual front speakers which is something that we haven’t seen much of. This may not seem like a big feature, but it’s a huge deal. The voice from the videos, games, songs, and movies is flawless. These are just the highlights – Axon 7 delivers on others aspects as well, which we have discussed in detail below. Design is very important to people and rightly so. ZTE realized it and have created an amazing looking device. The phone is smart and sleek – even with its big size, it doesn’t feel unnatural when held in hands. The metallic feel is great, but initial hours can be tough because due to excessive polish, it may slip from your hands a few times. You will need a solid grip in the beginning, but after using it for a few days things will go back to normal. The 5.5-inch AMOLED display can go up to 2560p resolution. Those of you expecting 4K capabilities won’t find it here. The performance of ZTE Axon 7 is great. It never really slowed down even after being put under extreme pressure. Furthermore, all the games and internet streams ran smoothly without suffering any kind of issues whatsoever. Axon 7 boasts Qualcomm MSM8996 Snapdragon 820 chipset, Quad-core (2×2.15 GHz Kryo & 2×1.6 GHz Kryo) CPU, and Adreno 530 GPU. All of these specs support the high-end functioning and allows the smartphone to run even the demanding apps with ease. 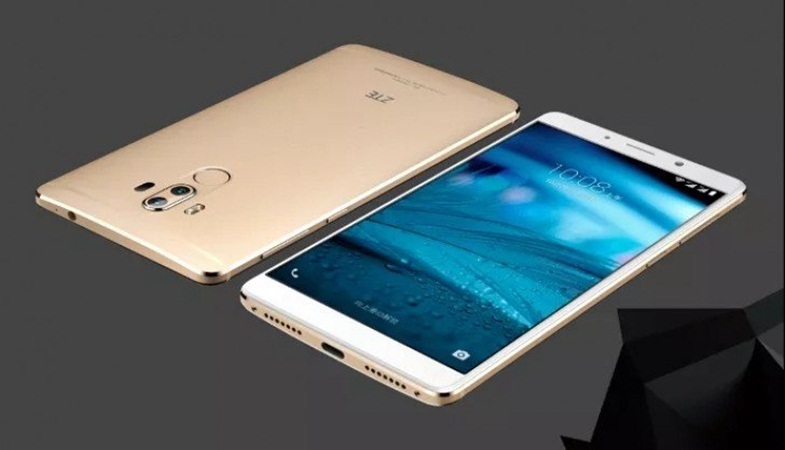 There is only one version available for this device and it comes with 64GB of internal storage space and supports up to 4GB of RAM. The good news is that microSD card support is there, so you won’t be limited to the 64GB storage, which is always a great option to have. So on performance front, you don’t have anything to worry about. Primary camera in Axon 7 is of 20MP and although it’s not as good as what Samsung and Apple are offering, it is still fantastic. It doesn’t matter whether you use it on close or long range, the results on most occasions are near perfect. Front camera is of 8MP and is great for selfies. Also, if you want, you can make full HD videos using it. Both of the cameras are outstanding but are not at the level of other high-end brands. 3250mAh battery has been integrated into ZTE Axon 7 and it is more than enough to easily last you for a day. Even if you are a heavy user, you will still be able to make use of your phone for 24 hours. However, if you are not a heavy user and only use your phone for minor tasks, then you can easily make it last for three to four days.